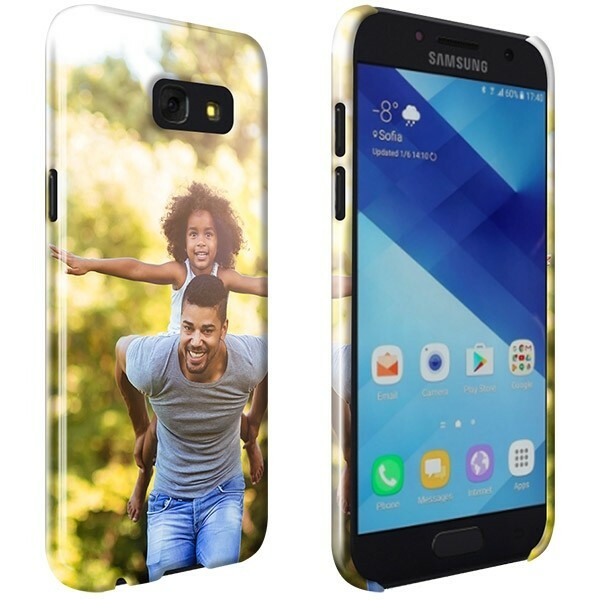 Create your own personalised Samsung Galaxy A5 (2017) full wrap hard case. 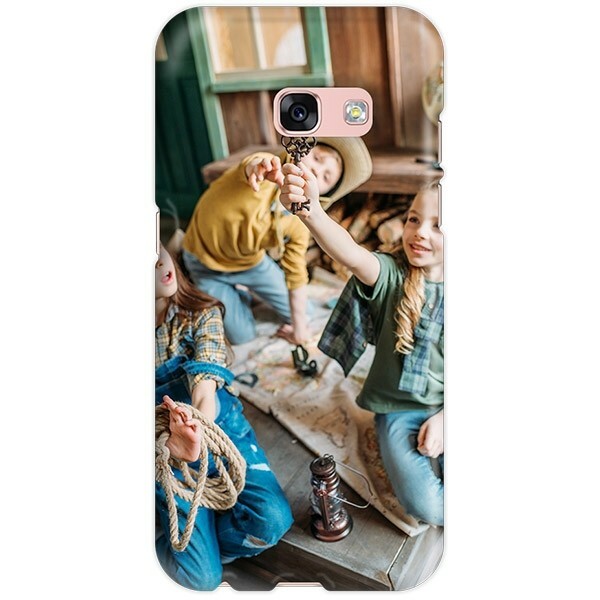 Your image is printed on the whole back of your case to make it unique. You benefit from the best quality of protection for your photo. Are you willing to protect your phone and make sure it stays as new as possible for a long time? 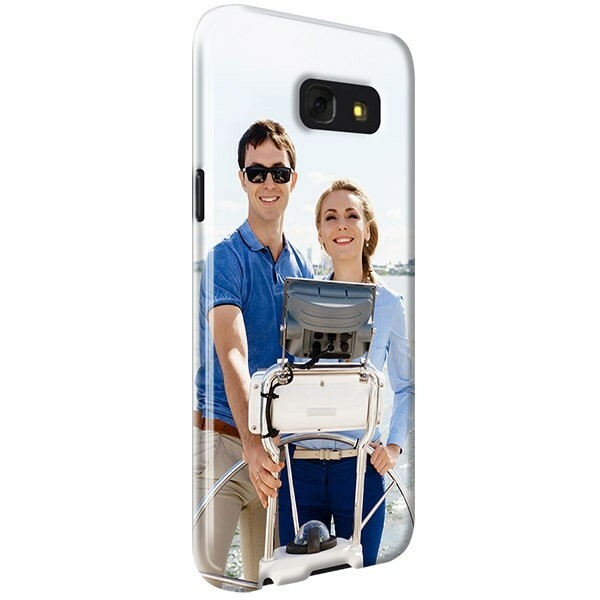 Then a case by GoCustomized is the perfect solution for you. Customize your cover with a photo or an image, the Samsung Galaxy A5 (2017) cover offers perfect protection against knocks and scratches. In addition of the extra protection, the use of the telephone remains the same because slots for buttons are provided. Thanks to our easy and user-friendly design module, creating a personalised case is child's play. You can upload your photos or images from your computer, but also directly from Facebook or Instagram. The image can be moved, enlarged or reduced in a few clicks so that the shell is exactly as you want it to be. We recommend that you place the most important elements of your design at a distance of 3mm from the edges and openings. This ensures that the result is exactly as you wish! In addition to photos and images, you can also add your own texts in different fonts. The possibilities are unlimited. Are you satisfied with your creation? You can then place your order using one of the many secure payment methods we offer so that you can benefit from your case as soon as possible. We will start production as soon as we receive your order. Each hull is produced with care and attention. If you have any questions about shipping or about your order, please contact our customer service department at support@gocustomized.co.uk.